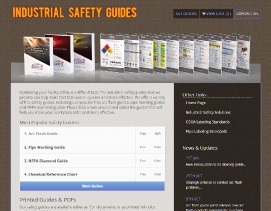 We are pleased to announce our latest addition to the Industrial Safety Solutions offering: free safety guides online! As our comprehensive list of safety guides grew, we realized that in order to offer the best safety guide selection we would need to have an entire website dedicated only to industrial safety guides. Our new free guide website consolidates our growing selection of free pipe marking, arc flash and facility safety guides and charts into one easy-to-use online site. View our growing selection of free safety guides online! You can now get all your safety guides in one place. We understand that hazard communication, arc flash labeling and safety labeling require more than just great products at exceptional prices. Solid, easy-to-understand information on arc flash hazards, pipe marking or other safety subjects is also crucial to optimizing your labeling project. Our guides give you the information you need to complete your project right, on-time and in accordance with government regulations. 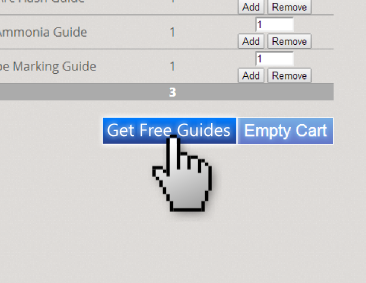 Quickly select free guides with our shopping cart system. In the past you might have expected to fill out a form for each free safety guide you wished to obtain. With our new industrial safety guide website you can take advantage of the convenience of our shopping cart system. Simply browse through our selection of free safety guides and add the ones you like to your shopping cart with the click of a button. Once you've selected all of the free safety guides you need, you can checkout quickly and easily with our free checkout. Getting the information you need has never been simpler! Printed AND electronic PDF versions available for all of our free safety guides! Now you can get our full-color guides in either PDF or printed form, shipped directly to you. Our free printed guides are available for businesses that need them- simply fill in your ship-to information when you check out and we'll contact you to verify your free guide order. 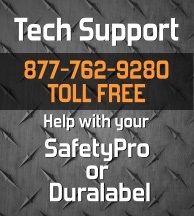 Please visit our industrial safety guide website today!